Arrange ILCAD during a week (Bane NORs sikkerhetsuke – Rail safety week) with lots of initiatives nationwide. Distributing images and press briefs to local and regional press. 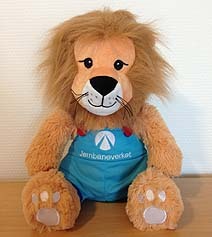 Distribute activity booklets about Lukas the Lion and a safe train travel to schools and om trains. Arranging winter campaigns during winter and easter holidays.